Wrestlezone Daily Podcast: What's YOUR WrestleMania Predictions? Tell us YOUR WrestleMania Predictions! 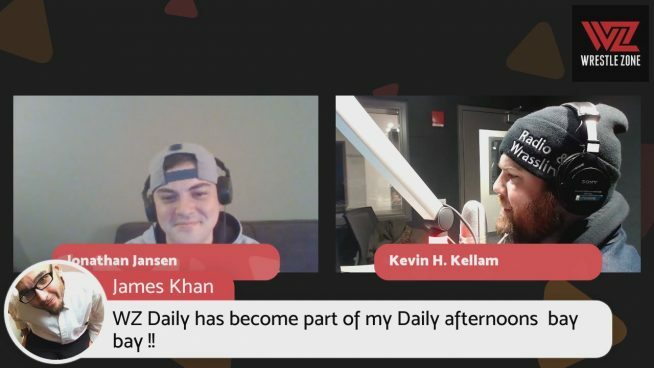 Jon Jansen returns to WZ Daily with 101WKQX’s Kevin Kellam to tackle your hot takes as they pop up on screen in the most interactive wrestling podcast! Who is winning and losing big this Sunday? Plus we will look the latest news involving fresh matches being added to the big show at MetLife Staidum. Will Seth Rollins, Becky Lynch, and Kofi Kingston steal the show?